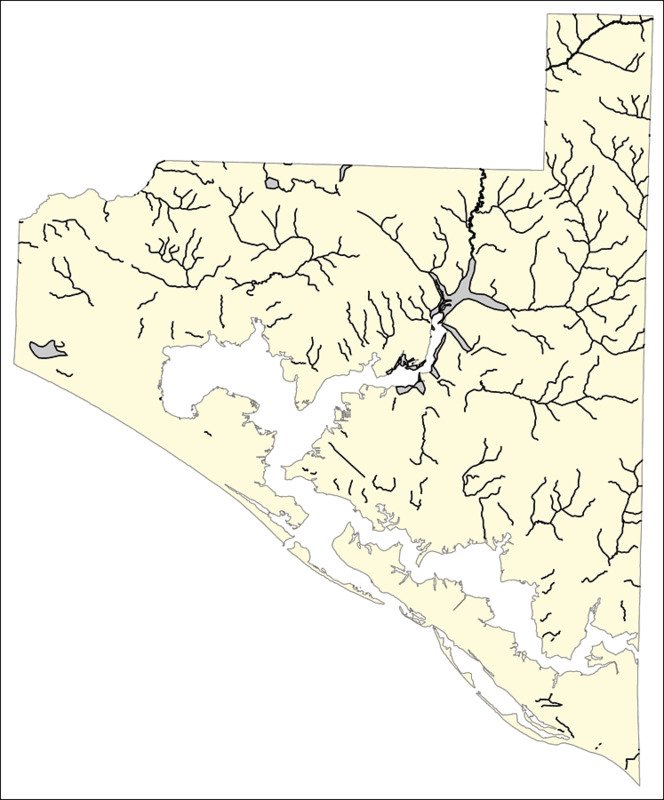 Description: This outline map was created by FCIT and shows the waterways of Bay County. All major rivers, streams, creeks, canals, bays and lakes are present, but not labeled. For a student activity sheet with directions for labeling the following: West Bay, East Bay, Deer Point Lake, Cedar Creek, Bayou George Creek and Powell Lake click here.